So, a few weeks ago Laurel posted this mani that she was inspired by and was going to try. I really loved it too and tried to recreate it with polishes I already have…ok, I probably have a larger collection than most….but I could have worse issues, right?? 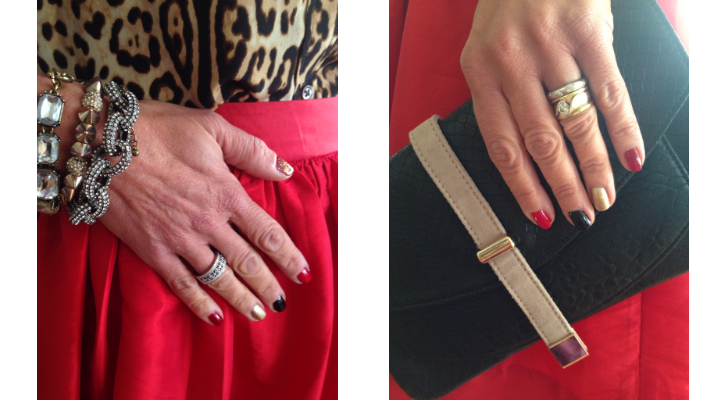 So, for a recent family wedding I decided to wear a red skirt and a leopard blouse and decided to go with the same idea for my mani but with reds and golds…..Here’s what I came up with…. 1. Pick you palette..neutrals, reds, purples, blues…really whatever you like! 2. Pick your sparkle…what’s going to work best with your outfit…silver, gold, champagne, platinum? 3. Paint your thumb and pinky nails the same color. It should be a rich tone in your main palette. 4. Paint your index finger a lighter color in the palette. 5. Paint your middle finger a dark rich somewhat neutral tone. 6. 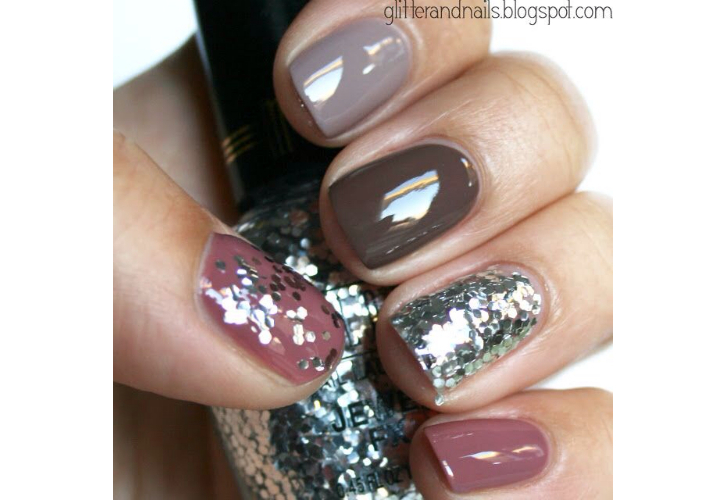 Use the sparkle on your ring finger and also layer is over your thumb. The possibilities are endless! Kind of fun, hey? 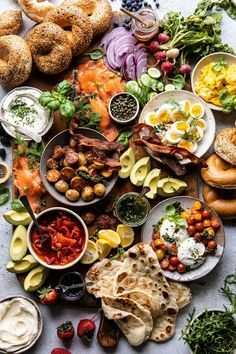 What combo are you going to try?